There is no doubt that 2014 has been a breakout year for MAP and as I sit here and reflect on what has happened over the last 12 months it’s easy to forget how much has changed in such a small amount of time. MAP only started in June 2012 – we’re not even three years old yet – but the momentum has really started to build this year. One item that certainly helped build momentum was the fact that MAP was ranked the 13th best University Business Incubator in the world by the UBI index. This garnered us a lot of attention from both within the University and outside of it to help draw more awareness to what we’re trying to achieve and how we go about it. In this post, I’ll try to recap what’s been happening and share some insights into what changes are in store for MAP15 and MAP16. This year MAP made a concerted effort to help more entrepreneurs and not just those who participate in the MAP Startup Accelerator. 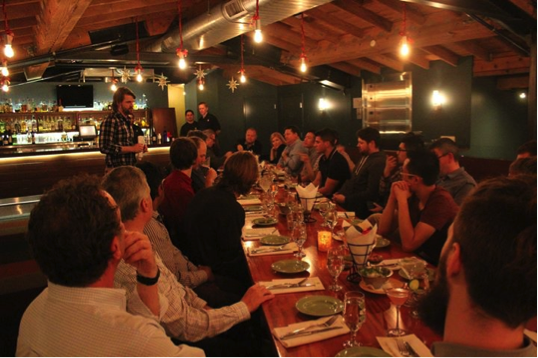 In 2012, we held 5 Master Classes and in 2013, we held 1 Startup Velocity (our first stage feeder program). This year I believe we’ve held 10 Master Classes, 4 Startup Velocities and 1 Escape Velocity (the second stage feeder program). This has increased the amount of people who have been exposed to MAP this year. We had just fewer than 1,000 people attend our public events in 2013 and over 3,000 in 2014. Our info night in 2013 attracted 130 people and this year it attracted over 350. We’ve also had more Faculties join including Arts, Medicine and Architecture, Building and Planning. Next year Science and Law will join our program meaning that staff, students and alumni within five years of the above faculties will all be eligible for our Startup Accelerator. All of the non-accelerator activities will remain open to everyone. Early this year the MAP team thought about a Silicon Valley trip and a documentary to show what it was like to be selected for the MAP Startup Accelerator however we had no idea if we could pull either of these off! In any case, we announced both at our info night to force us to make them happen. We made a short documentary, which you can check out on our YouTube channel and our Silicon Valley trip was a phenomenal success. In fact, let me elaborate on our Silicon Valley trip. In the first week of December the MAP delegation descended upon Silicon Valley for a series of meetings and a pitch event at the Google Mountain View Campus to serve as the culmination of the trip. The delegation consisted of the MAP startups, MAP team, some of our Advisory Board members, the Dean of Engineering, some University staff and some entrepreneurial friends of MAP. All up we had 26 people, which was quite a large group and posed some logistical challenges! The main objectives for the trip was to expose the startups to Silicon Valley, connect them with allies who can assist them in the future and help them access capital and business development opportunities. However, we were also keen to show our friends and alumni in the area the talented Melbourne entrepreneurs and demonstrate to various stakeholders how series the University is about promoting entrepreneurship and building successful businesses. Personally, I was quite anxious about this trip as it is obviously the first time we’ve done it. I was anxious for two reasons: ensuring that the startups performed and managing the logistics of moving 26 people around for a series of meetings. As such, planning began in August. Over the course of the week we meet with some incredibly well respected entrepreneurial people including Steve Blank, Andrew Braccia (Accel Partners), George Foster from Stanford, the team behind the Entrepreneurship Centre at UC Berkeley, John Scull (Southern Cross Venture Partners) and visited places like the Citrix Startup Accelerator, Airbnb and Square. You can see from the caliber of the people that we met that we needed the startups to perform well in order to hopefully have repeat meetings for 2015! 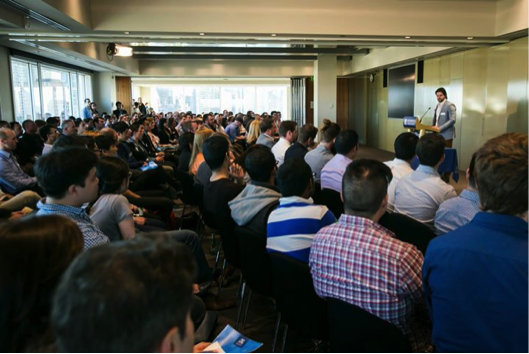 The trip culminated in the Silicon Valley Demo Day that was held at Google – special thanks to Sally-Ann for hosting us! The weeks of pitch practice we’d been doing with the startups before we left held them in good stead and they smashed it. We received a number of unsolicited comments from Silicon Valley investors, mentors and government officials that it was the best group of pitches they’d seen from an Australian accelerator which is obviously very pleasing. We’re already looking forward to next year’s Silicon Valley trip and building on the foundation that we established a few weeks ago. Well done to the teams! The MAP Alumni have also been steadily progressing which is fantastic. This year Cortera Neurotechnologies was announced as a part of the team from UC San Francisco that was awarded a grant from DARPA as a part of President Obama’s BRAIN Initiative. 121cast signed an investment and marketing deal with Southern Cross Austereo, Australia’s largest radio network. Venuemob raised $530k to further fuel growth. Swatchmate manufactured and distributed their first product, the Cube, to many very excited crowdfunding backers. Scott Li was accepted into TechStars Boston with his new startup and there are many more stories where this came from. We’ve now had 16 companies go through our accelerator and we’re looking forward to seeing the big things they accomplish in the years ahead. 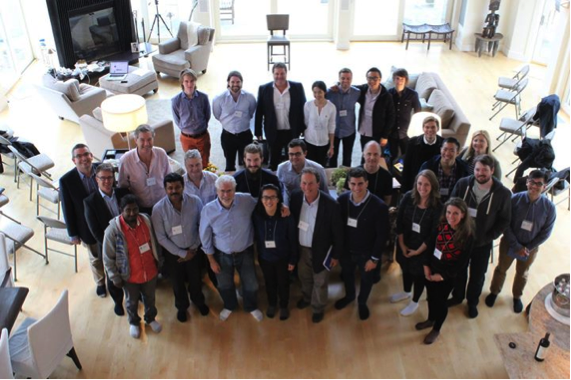 To cap off the MAP wrap for 2013 I’d like to say a very big thank you to the MAP Advisory Board, MAP Mentors and all of those who have helped MAP continue to build its momentum – without the support of the entrepreneurial community MAP just wouldn’t be able to do what it does as effectively. I’d also like to say a very special thank you to Charlie, Thas, Maxine, Wen, Boston, Alex and Kostan – the MAP team. Their hard work, intelligence, initiative and all-round fabulousness is a critical part of MAP and I’m incredibly grateful for them! Wishing you all a very happy and healthy holiday break and look forward to catching up again in the new year! Rohan and the MAP Team.